Ben is a graduate of Marywood University School of Architecture where he obtained his Bachelor degree in Architecture. During his schooling he developed a passion for architecture as a way to craft experiences and new understandings. He is interested in how architecture can be designed to benefit a community. Ben had interned at a number of architectural firms during his college career, including Knight Architects and Aiello Associates. 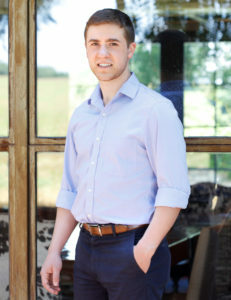 After graduating, he took a took a position at Ralph C. Fey AIA Architects in Doylestown, PA, where he currently works as an architectural designer. Ben is now excited to start testing for his architectural license in Pennsylvania. 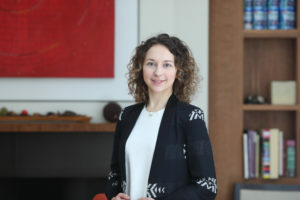 Megan L. Henry received her Bachelor of Architecture from Jefferson University (formerly Philadelphia University) with a minor in Construction Management. Upon graduation, she participated in the AmeriCorps program with Habitat for Humanity Philadelphia. After moving to the Lehigh Valley, Megan worked as an architectural designer with Cornerstone Consulting and served as an adjunct instructor to a local technical college. She began pursuing licensure in 2016 and has since passed two exams. Megan currently works as a Project Manager with SCF Architecture in Center Valley, PA. She is an associate AIA member of the AIA Eastern PA Chapter. 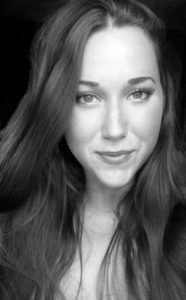 Megan is eager to obtain licensure and continue her journey within the architecture profession. Natalie Hetu received her Bachelor of Architecture from Pennsylvania State University in 2017. After graduation, she joined IKM Incorporated as a Project Designer. As a Pittsburgh native, she enjoys working on a variety of projects within the healthcare, corporate, and education sectors in her community. She is currently working on Seneca Valley’s Aquatic Center, a new K-12 education facility dedicated to resiliency, community, and performance. 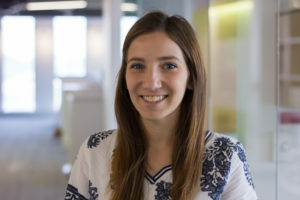 While gaining experience professionally, Natalie is eager to become a licensed Architect and has passed five of the six exams within the past year. She looks forward to contributing to the profession and her community as an Architect. In her spare time, she enjoys participating in mentorship opportunities, traveling, and exploring design as a service to the community. Rachel Jones is an architectural designer who believes in the importance of architectural research and collaboration in the profession. She is always looking for innovative and sustainable ways to solve each architectural problem. Rachel currently works at Krieger and Associates Architects, where she has gained experience working with clients, consultants, and contractors on various projects. She also continuously seeks out new products and systems that could be of interest to the firm. Rachel recently completed her Bachelor of Science in Architecture in 2017 from Drexel University’s 2+4 Architecture Program. Driven by her passion for research, she was awarded the Swift Fund Grant and the ARCC King Student Medal for Excellence in Architectural & Environmental Design Research for her thesis project, “Sites Unseen: Decoding the Legacy of Uranium Mining on the Navajo Nation.” This past year she has begun the process of eventual licensure by studying for the AREs. 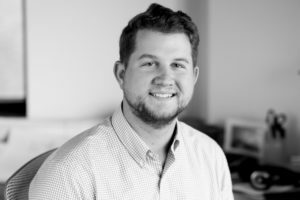 Rob Jones is a graduate architect that joined Chris Dawson Architect in 2015 after completing undergraduate studies at Marywood University School of Architecture. Rob’s experience in construction is reflected through his understanding of how things are actually put together. He has strong appreciation for graphic composition and understanding the importance of how ideas are visually portrayed. He has completed his AXP hours and is on the path to take his first architecture registration exam in January of 2019. 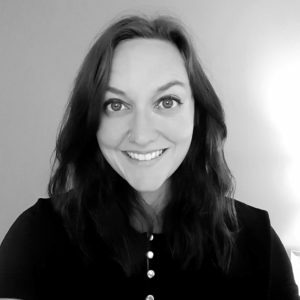 Justine Tarrant, a Northeastern PA native, is an architectural designer at hemmler+camayd architects and a continuing education instructor for Revit at PennState Scranton. She received her Bachelor of Architecture and a Business minor from Philadelphia University in 2012 where she became interested in the dynamics of kinesthetic learning. She went on to start the Architecture in Education (AIS) Program in NEPA to provide built environment education to K-12 students. Justine is an associate member of the AIA, and is currently working towards becoming a licensed architect and LEED certified. She serves as a board member for the Northeastern PA AIA Chapter and as a committee member of the Pennsylvania AIA Emerging Professionals Committee (EPiC). In addition to working as an architectural designer, Justine has been a volunteer alumni coach and tournament judge on the E.L. Meyers High School Speech & Debate Team since 2012.